Considering outsourcing calls to a Bilingual Attorney Answering Service? Consider this. The Hispanic community is a growing part of communities and having a bi-lingual or Spanish speaking customer service department is very important to a law offices profits. Many lawyers receive calls from Spanish speaking clients in need of personal injury lawyers, criminal defense, divorce and bankruptcy attorneys. Inability to answer and understand that initial phone call can and does result in the client hanging up and calling another attorney that has their phone answered by bilingual operators 24×7. A professional Spanish Speaking Answering Service for Attorneys is a simple, yet surprisingly affordable solution to help you never miss another client. Depending on your needs we have solutions for as little as $10 a week. Through our network of highly reputable call centers we can provide you with free no obligation trials and side by side price comparisons. You have established your business and now you seeking out ways to attract more customers. Traditional advertising, referrals and social media is working but perhaps you are looking for a way to get the edge over your competitors. Depending on where you are located, after doing some local research you might discover that as much 20% – 40% of the locals speak Spanish with little English or at the least a limited understanding of the language. You need to find a way to attract these customers to your business and not the competitors business. The solution might just be a 24 hour attorney answering service that is fluent in Spanish and other languages. Advertising the fact that Spanish speaking people can call your business any time of the day and night, weekends and on public holidays and talk to a person who understands them and who they can understand is a great benefit to law firms. This will be a good way to attract more Hispanic customers that otherwise may not have contacted your law office. Learn More About After Hour Support For Your Spanish Callers! There is no better way to offering an excellent customer service than being able to help all of the people living in your local area. Even if you have a Spanish speaking person on your staff they can not work 24 hours a day, after hours and on every weekend. 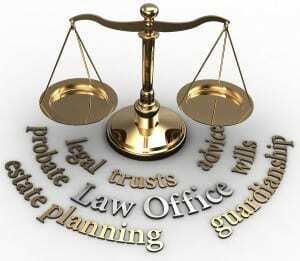 So by having an after hours Spanish answering service it will help the attorney’s clients out. These new clients may even tell some of their Spanish speaking friends and family about the great local attorney who offers a full service for Spanish speaking people. You will have access to a whole new target audience that your competition has left behind. We have all experienced legal matters that needed professional attention over the weekend and by having a live attorney answering service you are helping those people who call you on the off chance that someone may answer the phone. If a Spanish speaking person gets an answering machine in English and they cannot understand what is being said they will just hang up and keep searching until they find a firm who they understand and that can understand them. By taking advantage of this affordable Spanish Speaking Attorney Answering Service and providing people with that bit of extra service not found elsewhere makes you a unique law office. Many people need legal advice and you may be surprised at the increase in customers and advertising responses when you can accommodate consumes with bilingual speaking agents. This is a great way to attract large volumes of clients to your law office as it’s a great method of offering excellent customer service to everybody in your local area as well as attracting calls from far and wide. Having an attorney answering service to speak to people in their own language can only be a bonus for your business. Have your calls answered 24×7 by a professional virtual receptionist fluent in Spanish and English and you’ll discover for yourself how many new clients you will meet for a fraction of what you’d expect to invest.